While living on the Island of Aphrodite, and traveling extensively throughout the Mediterranean region (Italy, Greece, France, Turkey, Spain), I noticed many overarching themes about the peoples of this region. Yes, they had different languages, culture, religion. But one of the things they had in common: a general distrust about store-bought foods. Specifically, they were concerned about the level of “hormones” (what we in the West call genetically-modified or GM foods) in the fruits and vegetables. The debate is still ongoing whether GM foods are detrimental to one’s health. The reason many food manufacturers and farmers use them is simple: the world population is growing, and there’s more demand than supply. So, they need to up the supply. At the same time, they lower their cost of production, so they can increase their profits. It’s an unnecessary evil of the times in which we live. As our world becomes more tech savvy, and we spend more time in high rises rather than green pastures, what is a goddess to do to? We want to eat healthy, exercise, look good, raise our children, make money, have a career, give back to society, and keep a good home. Whew. Too much to the list. Can I add one more to our growing list of responsibilities? I suggest we grow our own gardens. I know, I know. I have the worst green thumb. I actually think it’s black with a tinge of fungus. But I have started growing a small herbal garden: mint, oregano, rosemary and such. Anyone can do this with a few seeds, a couple of pots and some sunshine through their kitchen window. Once you gain a bit of confidence, we can begin digging outdoors. What if I live in an apartment? Or in a large city? This is probably the largest concern I have, as well. Many of my friends in the Mediterranean had their own homes. If they lived in the city or in an apartment, their parents often times lived in a home with a yard and were gardening. They would spend weekends (or at least Sundays) as family day. At the end of the day, parents would pile a bag of washed fruits/vegetables from their harvest and hand it to her on her way to the apartment. This would be her vegetable supply for the week. Assuming that your parents aren’t nearby, and if they were, they don’t garden (although wouldn’t that be a fabulous solution? 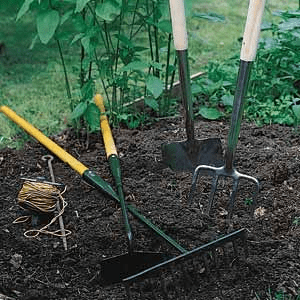 Encouraging your mom/dad to start a fruit and vegetable garden – you could work on it together on weekends! Great mother/daughter bonding time, and you could enjoy the produce afterwards). My suggestion is to find a nearby Food CO-OP. Co-ops are short for “cooperatives,” which basically means a group of people came together to benefit from economies of scale (producing or advertising more cheaply in a group, rather than doing it on one’s own). In terms of a food co-op, families come together to buy directly from local farmers. This is a great concept. It helps the entire community: your family (eating healthfully and consciously); the local farmers (they sell their goods); the local economy (keeps money flowing locally, instead of sending your money to a corporate headquarters hundreds of miles away); environment (less need for trucks to drop off crates and crates of fruits and vegetables that were probably picked way too early in the middle of Mexico and sitting in a truck or a warehouse or a shelf for days/weeks). The list continues of all the good that comes out of enjoying locally produce. What if I live in a cold climate that doesn’t grow many fruits and vegetables, especially in the winter? I write this as the Northeast is covered in a blanket of snow. I last saw 33 inches fell in eastern Massachusetts. I feel for your guys. Truthfully, I haven’t lived in that situation, as I split my time between Virginia (rather temperate, but enjoys four full seasons annually) and Cyprus. My only suggestion is to consider investing in a small greenhouse. Many people do this in the Mediterranean, as well. Albeit they are usually not covered in snow, the climate is still cold and rainy for most of November through February/early March. The greenhouses enable area farmers and locals to farm throughout the year, whether or not their is frost. One last comment about growing your own garden. If you haven’t had the pleasure of feeling the earth in your hands and watching the tiny sprouting of a little broccoli plant, then you need to. It is nearly magical that something from a dry, tiny seed would grow into a juicy, green plant that nourishes you and your entire family. Do you know how some people claim they go to the gym to work off steam and release tension? Well, that was never me. I exercise because if I don’t, I can easily turn rotund like the rest of the women in my family. However, when I garden, I truly forget my problems. I have had friends tell me that they have warded off seeing therapists in exchange for some soul time in their tomato patch. Finally, if all the public documents about GM foods being bad for your health doesn’t motivate you into getting your manicured nails dirty, consider this: hitting the gym in many a Mediterranean countries is a relatively new concept. Most women walk to the store, to work, to the beach, and beyond, if they live in a city or village. In addition to walking, women and men garden. They spend an hour or so in the morning and/or evening weeding, watering and tilling by hand so that tomatoes, eggplant, peppers, spinach and more grows. It is a WONDERFUL pastime to spend with your children. I still smile when remembering my children running through the long field, and finding a perfectly shaped, crunchy cucumber. They would get so excited – it was like finding Easter eggs in the summer. The children learned to love the taste of the vegetables raw and still warm from the sun. You must taste a freshly-picked cucumber, crackling in your teeth. The ones we purchase in the grocery store, squishy and the color of old grass doesn’t even come close to a real vegetable comparably. To your health, my lovely goddesses! Please send pictures of your budding gardens or let me know what’s your biggest hurdle with beginning one. Time? Space? Don’t know where to start? We can figure it out together.